Today’s technology is playing a huge part in the way we find, hear, and even learn how to play music. iTunes, Pandora, and Spotify are all great ways for music lovers to listen to music and create diverse playlists, but for music teachers and students looking for opportunities to improve their skills and enhance their lessons, music apps have become very popular. Here’s a list of some cool free music apps that we’ve found to be very helpful and fun to use. Pro Metronome: The name says it all. This is basically a must have for any professional musician, teacher or student. There are many metronome apps to choose from, but the reason I like this one is that it’s extremely user friendly. The beats are loud and can be heard clearly. Changing tempo and time signature is simple and the app also has a mode for subdividing beats. This will help you learn to keep perfect time anywhere you play or practice. piaScore: This is an amazing app for reading scores. It’s like carrying an entire music library in your pocket or bag. The app comes with over 70,000 free scores alone. The scores are extremely clear and easy to see, especially if used with an iPad. Pages can be turned with a simple swipe or gesture. 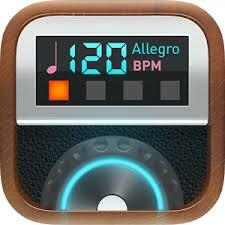 This app comes with several great tools already built in such as a metronome, tuner and a recorder. These are just a few of the neat things this app can do. Music Tutor: Here’s a nifty app for improving your note reading in both treble and bass clefs. Identifying notes is made into a timed game. Playing with this app a few times a week will definitely get you memorizing notes on and off the staff and improving your overall reading in a fun way. By incorporating this app into a lesson, teachers are adding technology in a fun way that adds a new dimension to students’ learning and helps keep the lesson fresh and exciting. Ear Trainer Lite: This app is an educational tool designed for musicians, music students and anyone interested in improving their musical ear. It has exercises covering intervals, chords and scales. The Lite version comes with 32 exercises while the full version has over 200. Ear training is an essential skill all musicians need to work on and this app will surely help. Multi Track Song Recorder: This is a premier 4 track recording app. According to its description, MTSR Pro allows you to record up to 4 tracks with a simple and easy to use interface. It’s designed with a simple tape recording style and includes many features for creative and more advanced music recording. This app allows you to write and record music from anywhere and also lets you export songs via Dropbox, Email, SMS, and iTunes. So basically many of the capabilities of Garage Band except it’s free to all users. Epic Tune: I’ve probably used this app a thousand times. Its just another handy tool every musician should have. There are plenty of options for tuners out there, but this one is simple to use, accurate and extremely versatile. The tuner is chromatic and can help tune all types of instruments including guitars, woodwinds, violins and pianos. “If it can sustain a tune the epic tuner can tune it”. These are just a few of the amazing tools being offered for musicians out there today. The best part is they are all free!